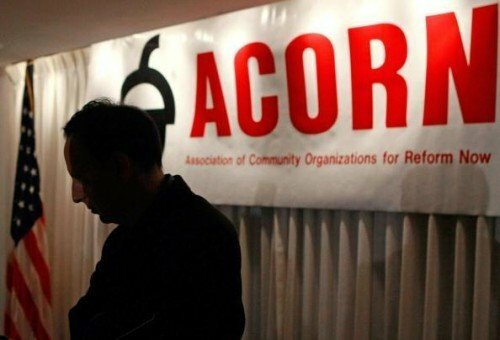 The Obama Administration has given a $200,000 Housing Grant to rebrand an ACORN affiliate despite a Federal Ban on funding ACORN. A spinoff of the scandal-ridden community organizer group ACORN received more than $200,000 in federal housing grants despite a ban on money going to ACORN affiliates, watchdog organization Judicial Watch announced Thursday. ACORN, which officially folded in 2009 after a string of scandals, rebranded into more than 100 spinoff groups, including Affordable Housing Centers of America — also now defunct — and Mission of Peace, an affordable housing nonprofit. In February, the Department of Housing and Urban Development transferred $201,222.07 from AHCOA to Mission of Peace “specifically to pay for the activities of former AHCOA affiliates,” according to a memo obtained by Judicial Watch through a Freedom of Information Act request. HUD approved the transfer despite a federal ban on tax dollars being used to fund any ACORN affiliate. “None of the funds made available under this Act or any prior Act may be provided to the Association of Community Organizations for Reform Now (ACORN), or any of its affiliates, subsidiaries, or allied organizations,” according to the 2010 budget appropriations act. HUD also made the grant despite a September 2012 report by the HUD Inspector General that concluded ACORN Housing, operating as Affordable Housing Centers of America, misspent funds from a $3,252,399 federal grant. Because of the ban, the award to Mission of Peace appears to be a violation of federal law, according to Judicial Watch. MOP is one of numerous ACORN affiliates operating under new names, Judicial Watch spokeswoman Jill Farrell told the Washington Examiner. “Barack Obama is truly the president from ACORN – as this illegal funding by his administration of these ACORN fronts shows,” said Judicial Watch President Tom Fitton in a statement. More than 174 groups affiliated with ACORN were still active as of August 2012, and at least two besides Mission of Peace have received federal funds, according to a report by the Washington Free Beacon.